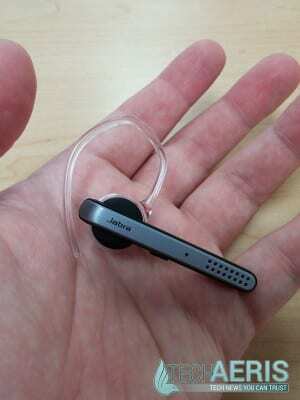 The Jabra Stealth Bluetooth Headset. Earlier this summer, premium wireless headset manufacturer Jabra announced the Jabra Stealth Bluetooth Headset. A short while later, the device was released to the general public. Jabra sent us a unit to review. 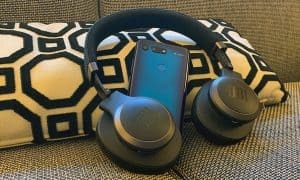 I’ve spent the last few weeks putting the Jabra Stealth through its paces, so let’s see how it holds up against other devices. The first thing you’ll notice about the Jabra Stealth is that it’s incredibly thin and lightweight. It features a new type of miniature battery powered by microPOWER technology. This means that the device can have similar talk time and standby time to larger Bluetooth headsets but a much smaller footprint. Jabra advertises that the Jabra Stealth has around 6 hours of battery life. I’ve found this to be a fairly accurate claim, getting between 5 1/2 and 6 hours on a single charge. Charging happens through a microUSB port that’s near-invisible when its clever flap is secured over the port. Call quality is very important with a device like this. The Jabra Stealth provides noticeably better quality than other Bluetooth headsets that I’ve used in the past. Jabra uses a proprietary method to isolate your voice against the background noise that the headset picks up, and they call it Noise Blackout. 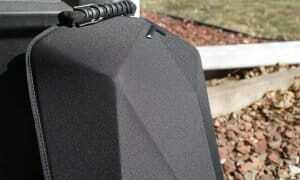 When testing the Jabra Stealth, recipients of phone calls reported very clear audio in most cases. It should be noted that playing music loudly in the background of a moving vehicle did cause some interference with the noise canceling technology. However, I don’t know anyone who would blast metal music while trying to take a phone call, so it seems to me to be a rather extreme and perhaps unfair test of the Jabra Stealth’s abilities. Incoming audio quality for the Jabra Stealth was excellent. The speaker is particularly loud and clear – good for listening to podcasts on the fly, as well. Since I wear glasses, comfort is a huge factor for me when it comes to headsets and earbuds. Inside the package are two plastic ear hooks and 6 eargel earbuds. The Jabra Stealth delivers very good quality of comfort and a wide range of softgel earbud configurations that will fit just about any ear. I found that one of the shorter black earbuds keeps the Jabra Stealth in my ear perfectly if I don’t want to use the ear hook, and one of the small orange eargels works very well with the hook. I have to say that while ear hooks are traditionally uncomfortable for me, this was not the case with the Jabra Stealth’s ear hooks. 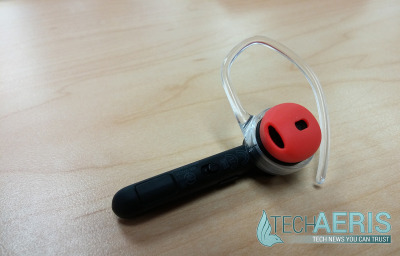 Another plus is that the eargels are really easy to put on and take off – a definite improvement over my last Bluetooth earbud. As far as additional features, the Jabra Stealth is running Bluetooth 4.0 (Low Energy) and NFC, each of which lead to very easy pairing between your device and the Jabra Stealth. The Jabra Stealth also has a dedicated voice action button that will help you carry out voice commands on either your iOS or Android device. 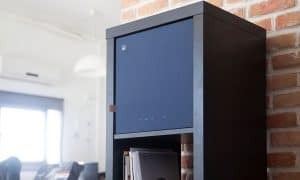 The Jabra Stealth links up with Apple’s Siri as well as Google Now, both of which are platforms that rely heavily on voice commands. I had no trouble speaking to and hearing responses from Google Now in my ear. 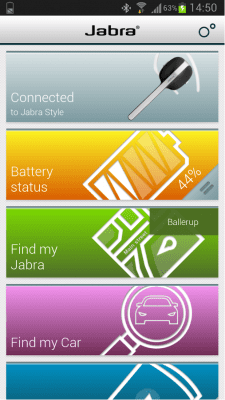 Jabra Assist Android app screenshot (image courtesy of Jabra). The Jabra Assist app is available for download for both Android and iOS devices, and offers users a way to actually pinpoint the general area of their lost Jabra Stealth unit on a map, which is a really useful feature for forgetful folks. The app will allow you to find your car in a large parking lot as well, though Google Now does this automatically for me, so it’s not a feature I would use unless I was on an iOS device. I liked that the app put a battery icon for the Jabra Stealth in my notification tray, but I did not like that the notification sits there even when the Jabra Stealth is disconnected and the Bluetooth radio on my smartphone is turned off. What can I say, I like a tidy notification tray. Overall, I believe the Jabra Stealth to be one of the best Bluetooth headsets I’ve ever used. I’d recommend it to anyone in the market for a replacement headset or in the market for a new one. I firmly believe that the Jabra Stealth is the premium Bluetooth headset of 2014. You can pick up a Jabra Stealth at the official Jabra website for only $99.99 USD.